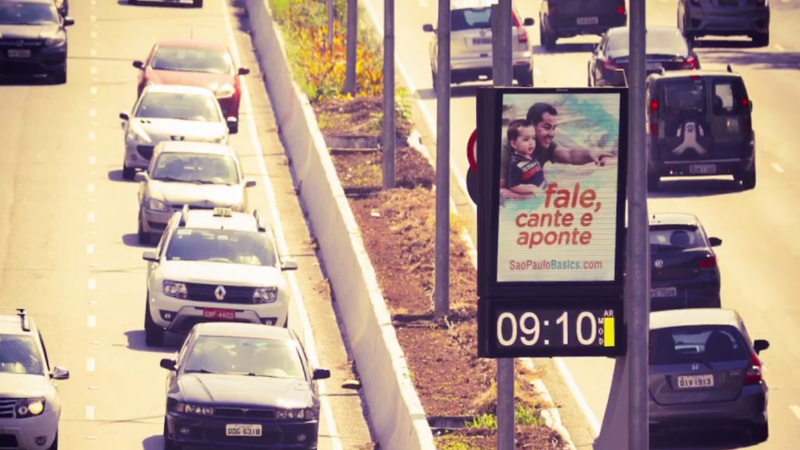 Messages to encourage parents to talk, sing and play with their young children appeared last week on digital advertising hoardings across São Paulo. The messages are adapted from those developed for Boston Basics. Check out the Portuguese versions at São Paulo Basics. These messages marked not only Brazil’s national children’s day, but also the Mayor of São Paulo ratifying the city’s first ever legal framework for early childhood, addressing areas of education, social assistance, health, culture and leisure. The law was developed by city councillor Janaína Lima, who participated in the Foundation-sponsored executive leadership course on early childhood at Harvard earlier this year.